"HOW TO BUILD A NAVIGATION MAP"
Building a new website, either from scratch or just as a redesign, can seem like daunting task. But it doesn't have to be. Where do you start? For us, it's all starts with a clean and organized navigation structure. 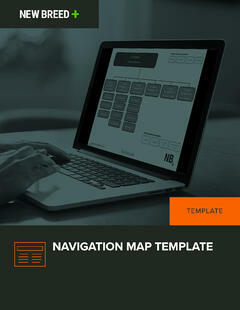 To help you do this, we've created this easy-to-use template that walks you through how to build a navigation map. We hope you find this template useful as you build or redesign your new website!